Low tire pressure sensor was on, found this in the front passenger side tire. Not what I needed a week before I leave for Vegas. [Update] Les Schwab was able to get the tire patched. 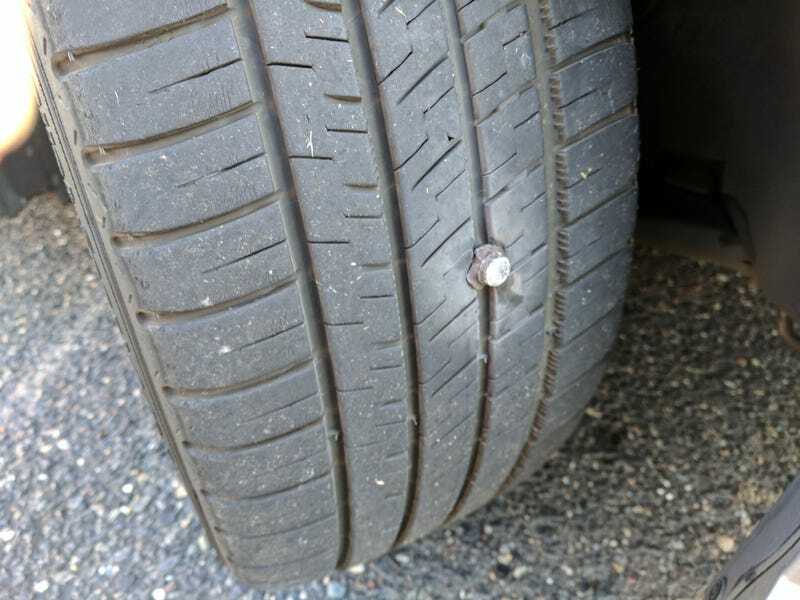 If I get one more thing stuck in a tire, I’ll have flat tire bingo for this set, since I already had to replace one a month after getting them for a punctured sidewall, and now 2 others have picked up a screw during their life span.